Full details of guests will be required to comply with the holiday parks rules (no same gender groups) Booking contract will be forwarded to you along with full arrival information. Full payment required within 6 weeks of arrival. Deposit payment of 30% required to secure booking. Arrival between 3pm-8pm and departure between 9am-11am. BOOKINGS MUST BE MADE MORE THAN ONE WEEK IN ADVANCE OF THE ARRIVAL DATE. £25 ADDDITONAL END OF STAY CLEANING CHARGE APPLIES TO EACH BOOKING. 2. Mobile number and reason for stay also required. 5 star reviews on Tripadvisor! 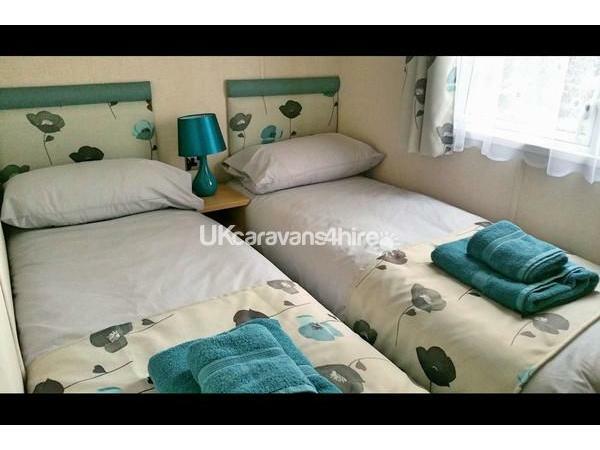 White Rose caravan on Goosewood Holiday Park provides 2 bedrooms one double and 2 singles (ideal for 2 children). The master bedroom has an en-suite toilet and basin. 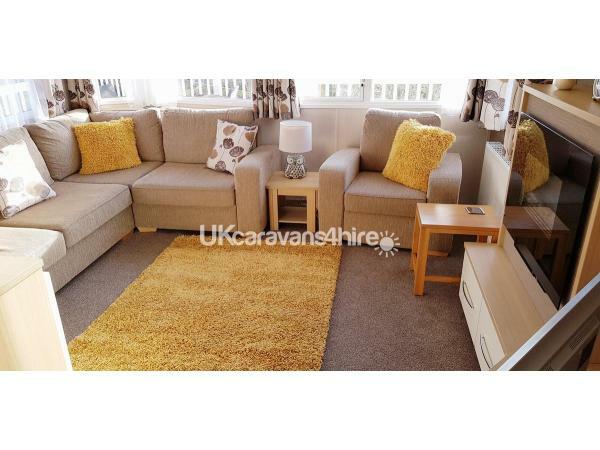 There is secure Broadband installed to the caravan and the Smart TV has catch up TV, You Tube etc. The kitchen has an integrated microwave and fridge freezer. 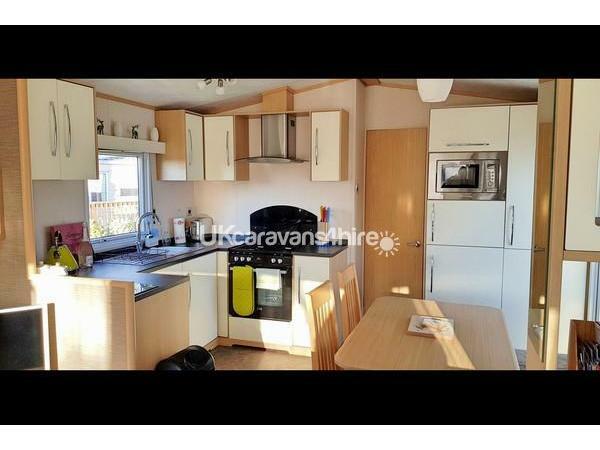 This luxury caravan has decking which provides dining and relaxing areas both on the side and at the front. 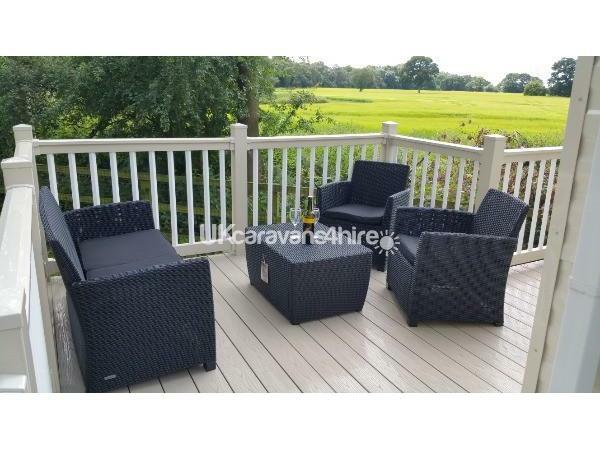 The views from the front decking are over lovely open countryside - a great place to relax. 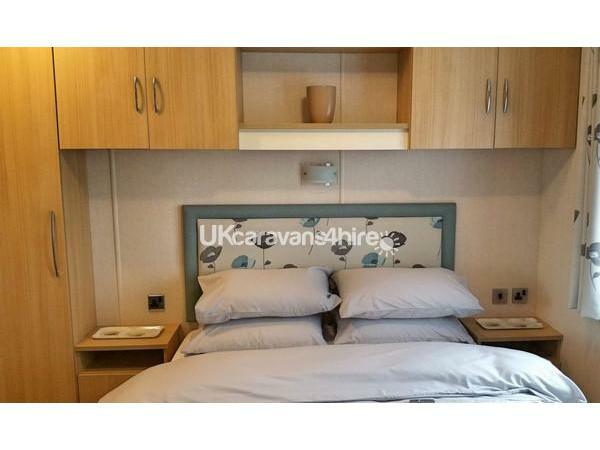 This is an ideal base for a holiday or short break in York. The tourist attractions of York itself are only a short drive away (or use the park and ride) or you can visit the coast (Scarborough, Whitby, Filey) or the nearby market towns and villages. 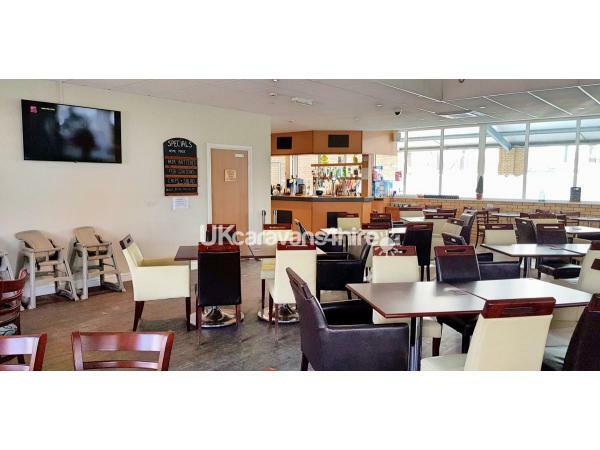 Goosewood Holiday Park York has an indoor swimming pool, bar and bistro with Sky sports in the leisure centre and a mini Mart (seasonal opening days/times from Mid March to Dec). Onsite fishing is available in the well-stocked lake. Flamingoland is nearby for the children and for shopaholics there is the McArthur Glen outlet village, Monks Cross Shopping Centre and Clifton Moor shopping park all within an easy drive. If you are looking for quality accommodation for your York break then look no further than White Rose. Price includes all bedding (duvets and linen), towels, hairdryer, toilet rolls and a welcome pack of tea, coffee and sugar. BOOKINGS MUST BE MADE MORE THAN 1 WEEK IN ADVANCE OF THE ARRIVAL DATE (Holiday park rules) No arrivals after 8pm. No reviews found. 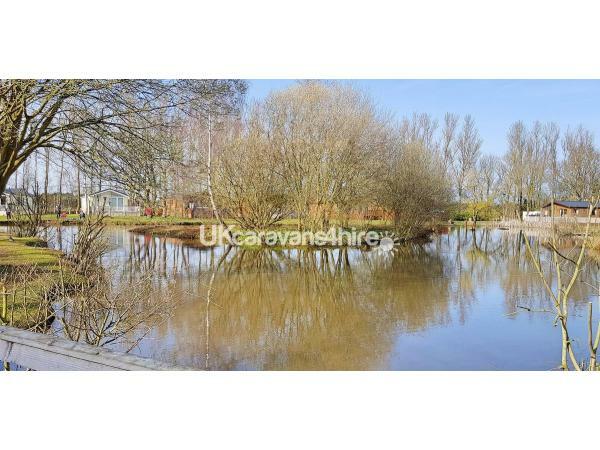 If you have recently stayed in this holiday home please leave a review, it only takes a few moments and will really help future guests when they are searching for holiday accommodation at Goosewood Holiday Park.